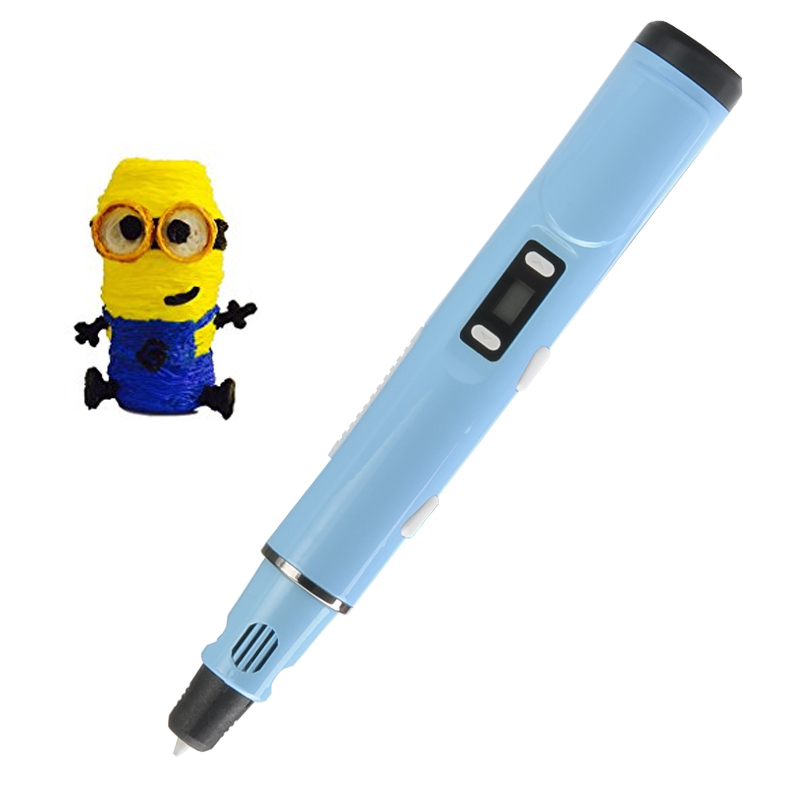 Successfully Added 3D Extrusion Printing Pen - Drawing/Arts/Crafts/Modeling/Decoratipns, Speed and Temperature Adjustments, LED Display (Blue) to your Shopping Cart. Ready to get started with 3D printing? This 3D pen will serve as a great introduction into the world of 3D design – and you won’t have to invest into fancy equipment. Step into the world of 3D printing with this easy-to-use printing pen. With 3D printing being all the rage these days, you may be willing to give it a try and gest started with one of your own projects. However, if you are not quite ready for a big investment, the 3D printing pen is next best thing. Just like with a 3D printer, you will be able to create real-life objects and test out your ideas in reality. It may take a bit of practice – and it is recommended you get started by drawing on paper first – but with some patience and commitment, you will get the hang of how it all works pretty soon. The 3D printing pen comes with controls for adjusting speed and temperature and an LED display. The pen operates with temperatures from 160°C to 230°C and comes with a 0.7 mm nozzle. In addition to actually creating objects, you can also use the printing pen for repairs, in decorating work, to glue objects together and more.